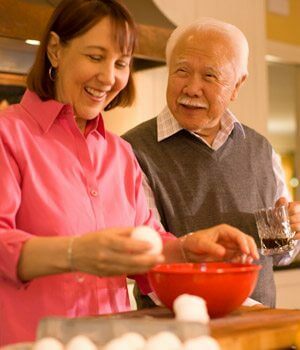 When deciding what to do for you Lexington, MA family, and senior home helpers can assist keeping someone independent at home, while having a second set of eyes watching and helping around the home. Allowing a parent to stay in the home that they have lived in for many years gives them the independence that they want. When looking at your options there are different services that you can choose from. With some home care companies these services cost different amounts. One of the options is home helpers, which can per interpreted as a vague term from many. What is a home helper? What do they offer as for services? And most importantly how do they help? A home helper is there to help around the house with basic maintenance and chores. Generally one of the first things that become difficult for seniors is transportation. After that memory issues can become a problem and everyday tasks can be forgotten or mobility issues do not allow a senior who is mentally there to physically accomplish these tasks.. That is where a home helper comes in for. 1) Cleaning – Many times seniors no longer has the ability to clean their home properly. This is not a ‘top to bottom’ cleaning, but making sure that the home is picked-up, organized and cleaned. We make sure that the most used rooms (generally the kitchen, bathroom, and bedroom) are clean and organized. 2) Dietary Needs – When can start to eat out too much, or eat poorly, where they are not getting the proper nutrition or completely missing meals. Home helpers will cook and clean notorious meals. This service can be for every day, or someone comes in 2-3 times a week to make a mean and then separate them into individual means for every day of the week. This gives peace of mind to children that their parent is eating well and consuming three nutritious meals per day. 3) Chores – Going to the grocery store is a weekly if not every other day occurrence. If a senior no longer can drive, home helpers can go to the store to pick up the items needed for the week. Getting the mail and organizing it is also a task many of our home helpers are asked to do. 4) Laundry – A weekly occurrence that no one likes to do. Not only will home helpers wash and fold clothing, but change and clean linens as well. 5) Supervision – When a senior lives in another town, or state it is difficult to check up on them. A phone call usually will do, but having someone there is ideal. Having a home helper over a few days a week not only accomplishes the previous four tasks, but most importantly makes sure that a parent is safe, and is being looked after. There are many more reasons why a home helper is great for seniors who live alone. Having one for a few hours a week is cost effective and is more practical that assisted living, or 24 hour care. Allowing home helpers into your home keeps a families peace of mind knowing that their loved one is being watched over.